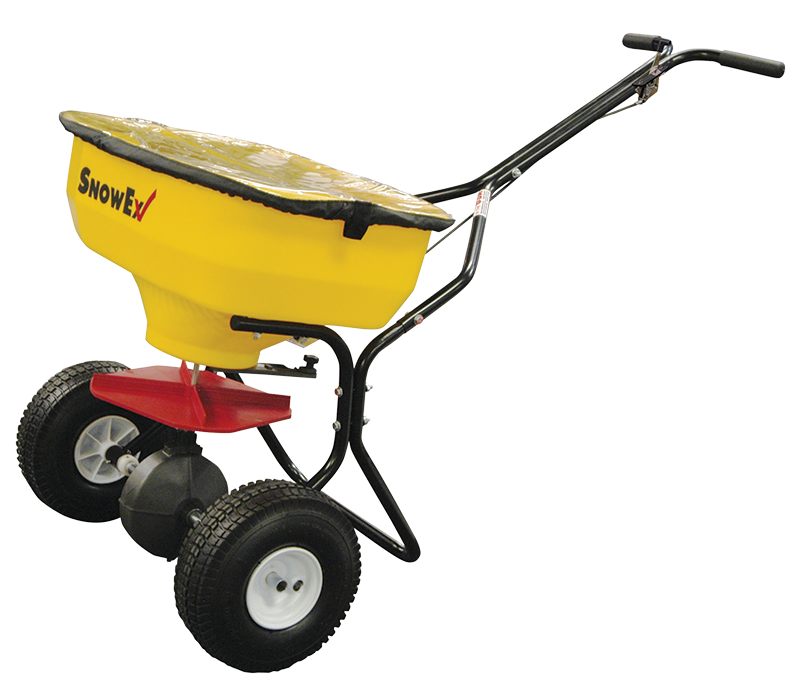 SnowEx Walk-Behind Broadcast Spreaders easily distribute rock salt and pelletized materials up to 20 feet to make sidewalks and driveways in Gretna safe in the winter. The heavy-duty spreaders are made of durable poly hopper construction for lasting performance and exceptional corrosion resistance. Overall Length 50" 52" 52"
Overall Height 28" 33" 33"
Overall Width 26" 29" 29"
Hopper Length 18" 20" 20"
Hopper Width 23" 23" 23"